High Radiation Tolerant Nuclear Cameras and deployment Systems. ISEC provide complete Nuclear Monitoring Solutions. 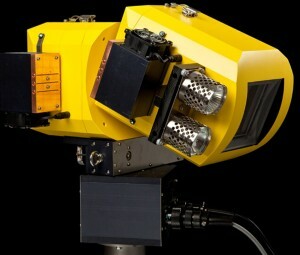 Some of ISECs solutions and products include: Rad Hardened Cameras, Manipulator arms, Imaging Spectrometer for Nuclear Power Plants, High Rad underwater inspection cameras, Remote Monitoring and telemetry software, High Rad LED lighting and underwater lighting for nuclear pools as well as Thermal cameras for temperature monitoring and gas leak detection. ISEC’s IVS monitoring system is the eyes, ears and sensory components of the NMS system, complementing the IMS in-plant monitoring system. IVS consists of a portfolio of products that is specifically developed for use within radioactive and demanding environments, offering exceptional durability, very high performance and functionality. The IVS monitoring system from ISEC is built and designed with quick and easy maintenance in mind. RADCAM is available in different versions depending on expected radioactivity and temperature levels. This gives the ability to adapt the RADCAM equipment to different areas within the plant, thereby securing a level of protection that is suited to each area and not unnecessarily high. Camera movements can be made at variable speeds, and with camera-positioning precision down to 0.01°,maneuvering and monitoring is exceptionally accurate and precise. All RADCAMs are equipped with lights and can be used in fixed or mobile installations.